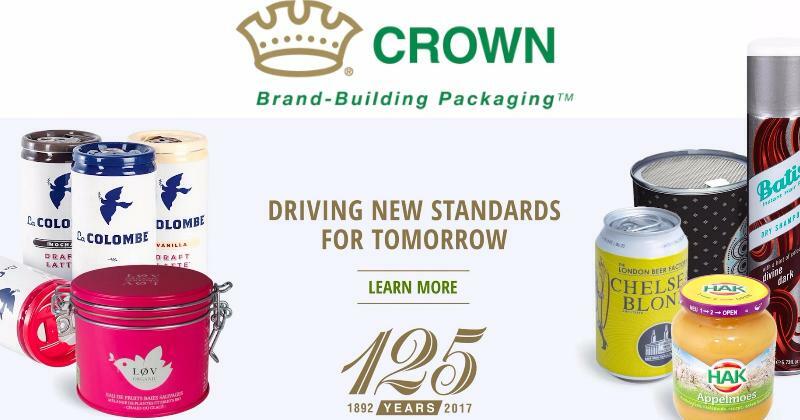 Crown Packaging is the leader in metal packaging technology and the number one producer of food cans and metal vacuum closures in the world. In 2017, the company celebrated its 125th anniversary and now operates in 36 countries, employing over 24,000 people and has net sales of $8.3 billion. At Crown, a focus on innovation is not reserved for individuals with “innovation” or “product development" in their titles. By making innovation everyone’s job, Crown fosters a spirit of continuous improvement every day. Crown Europe’s IT Group had implemented multiple ITSM tools in the last 15 years, but none of these solutions met their requirements. In 2010, Crown partnered with ITC InfoTech, a specialized global full-service technology solutions provider, who were using HP Service Manager. To simplify integration with its outsourcing partner, Crown made the decision to also use HP Service Manager. The implementation focussed on deploying Crown’s ITSM processes, but this process-centric approach gave rise to several issues, and delivered a solution that was not easy to navigate or use, making it difficult for Crown IT staff to handle requests efficiently. Getting metrics from HP Service Manager was quite tough, so Crown initially relied upon the canned reports provided within the tool. 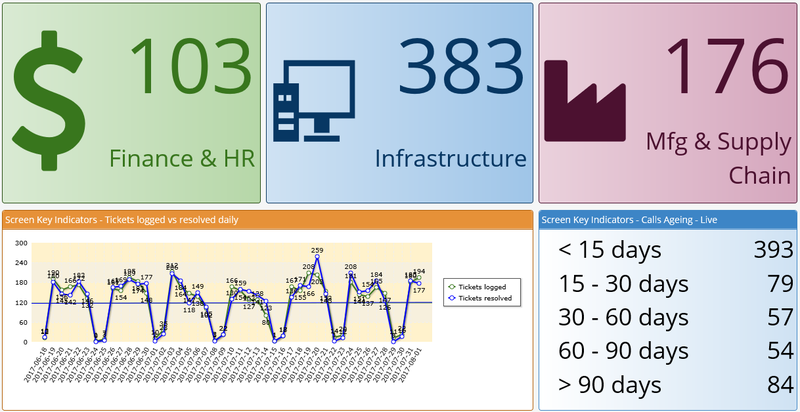 To generate specific KPI’s, Crown used Business Objects to connect and extract data from the HP Service Manager database. 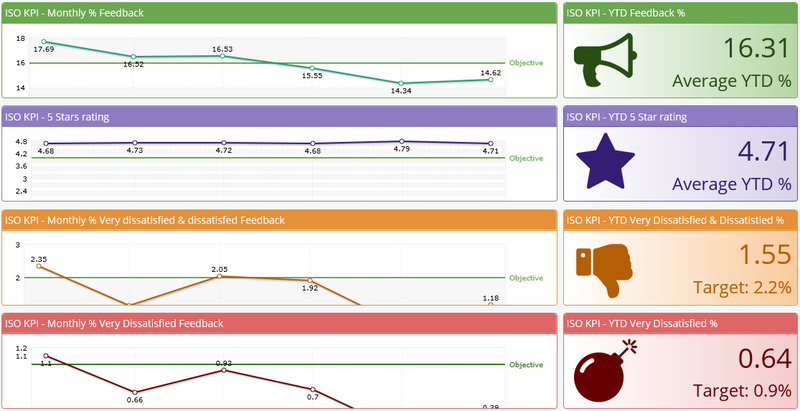 This approach was cumbersome and the lack of useful KPI’s was a significant challenge. In March 2016, Crown and ITC InfoTech determined that the challenges of usability and metrics in HP Service Manager needed to be addressed, and in April 2016, Crown began to investigate the ITSM tools market. The partners agreed to a deadline of two months to evaluate a number of ITSM tools, and make a decision to select a new tool by the end of May 2016. The new tool needed to be intuitive, simple to configure, and at the same time, powerful. Having been burned by the complexity of reporting in HP Service Manager, Crown wanted to carefully explore the metrics capabilities of each tool to ensure that the new solution would be able to meet their KPI needs, and enable ITC InfoTech to demonstrate conformance with contractual SLA’s. ITC InfoTech provides support for Crown’s infrastructure services, covering network, desktop, laptop, server, software deployment, management of user accounts, as well as support for over 50 different software applications. All incidents and service requests are logged directly by Crown users with ITC InfoTech’s multi-lingual service desk. The service desk needed a platform that was contemporary and intuitive. The solution needed to provide a digital experience to all users and analysts, while enabling the required metrics to be generated and presented in a simplified manner. 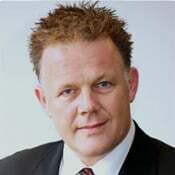 Having implemented multiple enterprise ITSM tools over the last 15 years, Terry Dobb, Crown’s VP CIO made it clear that the team should choose very carefully, and select a solution that was both contemporary and would work for years into the future. During April 2016, Frederic Beugin, Director of Operations and Supports, and the Crown Europe team looked at several ITSM tools, including the latest version of HP Service Manager, HP Service Anywhere, Samanage, ServiceNow and Hornbill Service Manager. 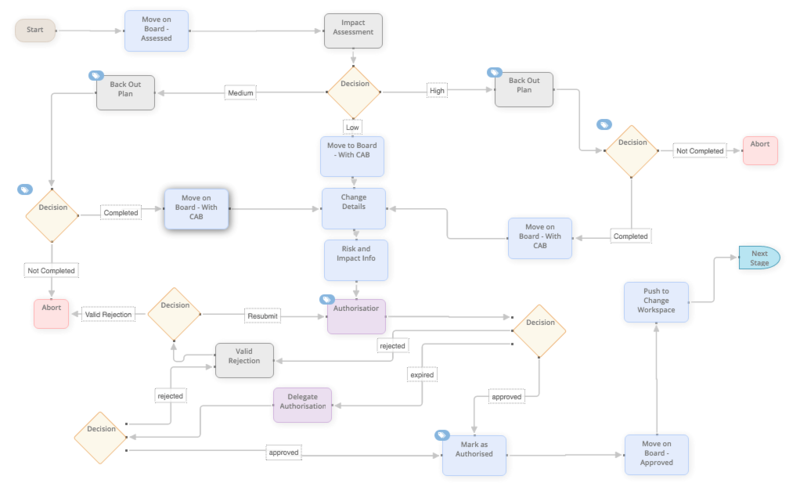 The team produced a matrix of all the key features they needed within the tool and asked each vendor to provide an evaluation system, so the team could use the tools and ascertain whether they met their criteria. All vendors were invited to attend site to demonstrate their solutions, and answer any questions from Crown. After the demonstrations, Crown and ITC InfoTech staff ran intensive testing for a period of three weeks, and all solutions were marked and ranked to produce a shortlist. At the end of this process, ServiceNow and Hornbill Service Manager were the final two vendors in the shortlist. Frederic explains that although ServiceNow is a market leader, with a powerful and complete solution, Crown recognized that implementing ServiceNow would have been a major project. The vendor had initially quoted 90 days to get the basic processes up-and-running. However, after further clarification of requirements, Crown realized that this estimate was likely to double. Although the vendor offered significant discounts on software subscriptions, the cost and complexity of implementing ServiceNow was excessive. Cost aside, the team leaders running the evaluation process had leaned towards Hornbill Service Manager, mainly due to the intuitive nature of the tool, ease of configuration, and their interactions with Hornbill staff. In June 2016, the decision was made to select Hornbill Service Manager. To allow sufficient time for Crown’s procurement and planning processes, implementation was scheduled for August 2016. The scope of the implementation was broad. Crown already used ITIL, but previous efforts to adopt the framework were ‘by-the-book’ and focussed entirely on processes. Implementing Hornbill Service Manager provided a fantastic opportunity to revisit ITIL, but this time, from a Services perspective. Crown decided that a big-bang approach would minimize the period of disruption. During the implementation, Hornbill Product Specialists were supported by an exceptional team, led by Crown’s Technical Support Team Leader, Lyonel Remond. The implementation commenced in mid-August 2016 and a tight two-month deadline was set for go-live in October. Hornbill Service Manager is intuitive, so service desk analysts don’t need much training. Prior to go-live, Crown’s service desk analysts had only two training sessions. Hornbill delivered a one-hour session on how to use the tool, and after this session analysts were encouraged to log on and familiarize themselves with the solution. Two weeks later, Crown staff delivered an internal training session, which explained how the service management processes worked. Two days later, Hornbill Service Manager went live. Saurabh Saket, General Manager IT Services, ITC InfoTech said, “We had excellent communication from Crown before go-live, so on-boarding of our service desk staff took no time at all. One of the main reasons that the tool has been so successful in our environment is the preparation that went into process design and trainings conducted with the team. The Heads-Up Display is a massive hit with the analysts. Analysts can immediately see where they are in the process, what’s coming next, and what should be done with tasks and automation. Progressive Capture is also a big benefit, as it ensures that you get the right information, first time, so analysts can immediately start work on resolution, and this really helps with our SLA performance.